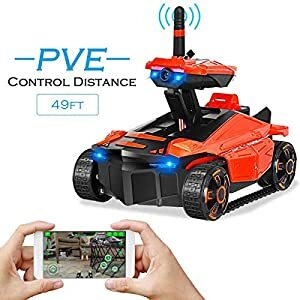 Amazon.com Price: $29.99 (as of 21/04/2019 19:48 PST- Details)	& FREE Shipping. JUNIOR ENGINEER-HELP HIM FEEL PROUD – Watch as your child takes this truck and transforms it into an awesome robot! 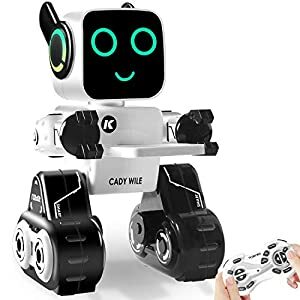 Kids love using the included electric play “drill” and tools to go from truck to robot and back again. 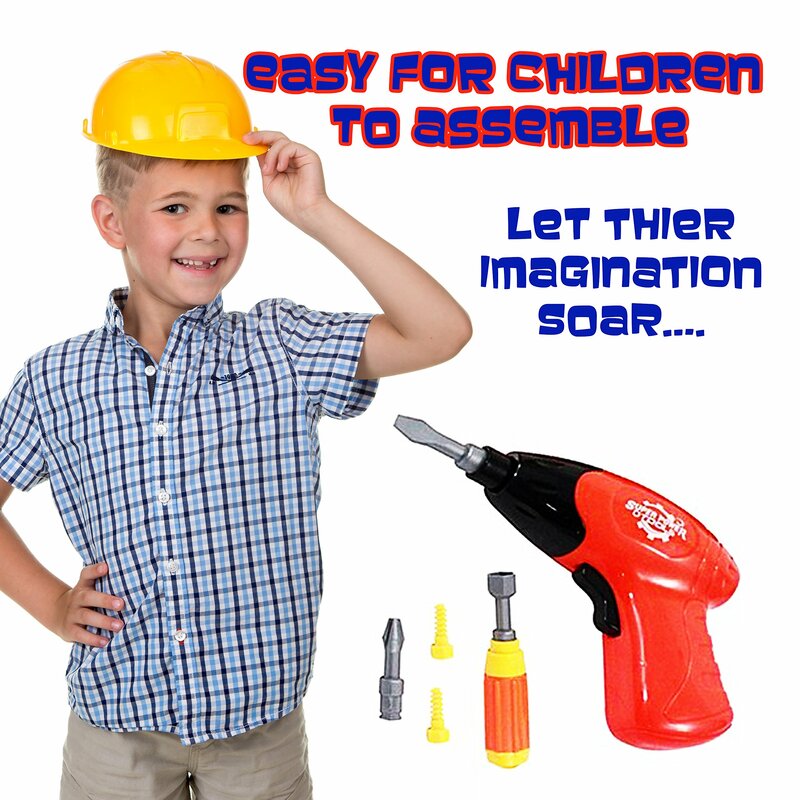 Great for one or two kids to work together using the included play drill and screwdriver! 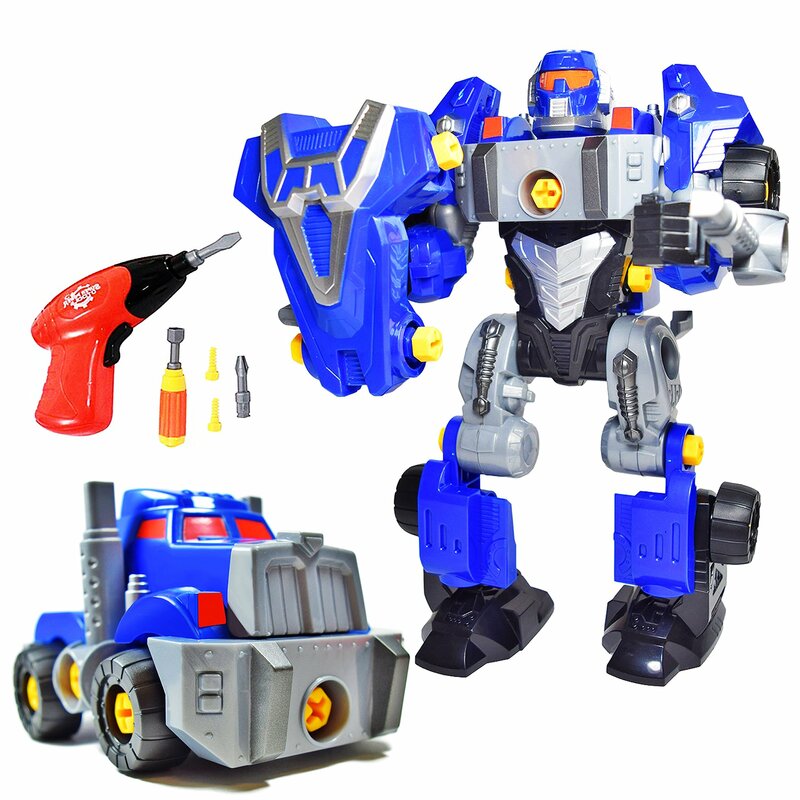 HELP DEVELOP your CHILD’S CREATIVITY & IMAGINATION – Easy assembly and disassembly from truck to robot and back. Let your child’s imagination run wild! Also teaches building, visualization and hand eye coordination among children. 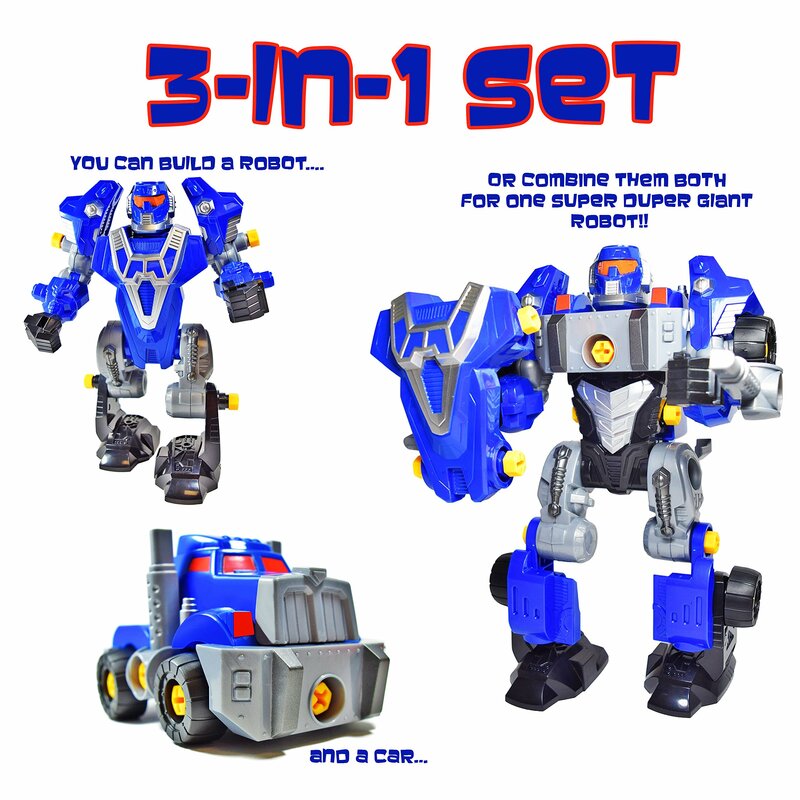 3-IN-1 SET – includes one mini robot (measuring 9.5 inches tall) and one car. By taking pieces from both build a mega robot (11 inches tall)! 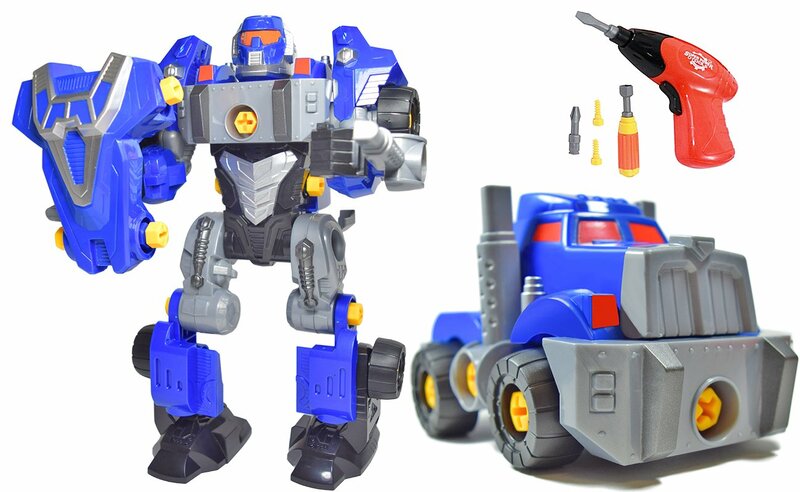 Includes transforming truck-bot figure along with pretend drill, screwdriver, an extra drill bit and all the screws necessary for building and transforming the toy. 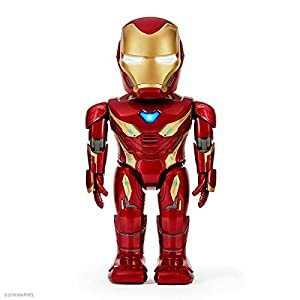 of toys, and hope you check out our products that are coming in the future. NON TOXIC-BPA FREE- 100% SAFE – Built from high quality plastic to stand the test of playtime! IMPORTANT- Recommended for children 3 years and up because some parts could pose a choking hazard. All products are BPA free; meaning they are completely safe for your little ones. We only ask you to be careful when opening the package as the plastic covering might be sharp. 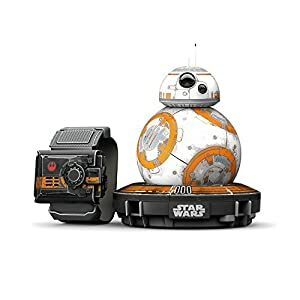 Amazon.com Price: $299.99 $58.99 (as of 21/04/2019 19:48 PST- Details)	& FREE Shipping.